Lacuna Beginner Sampler Pattern back in stock! 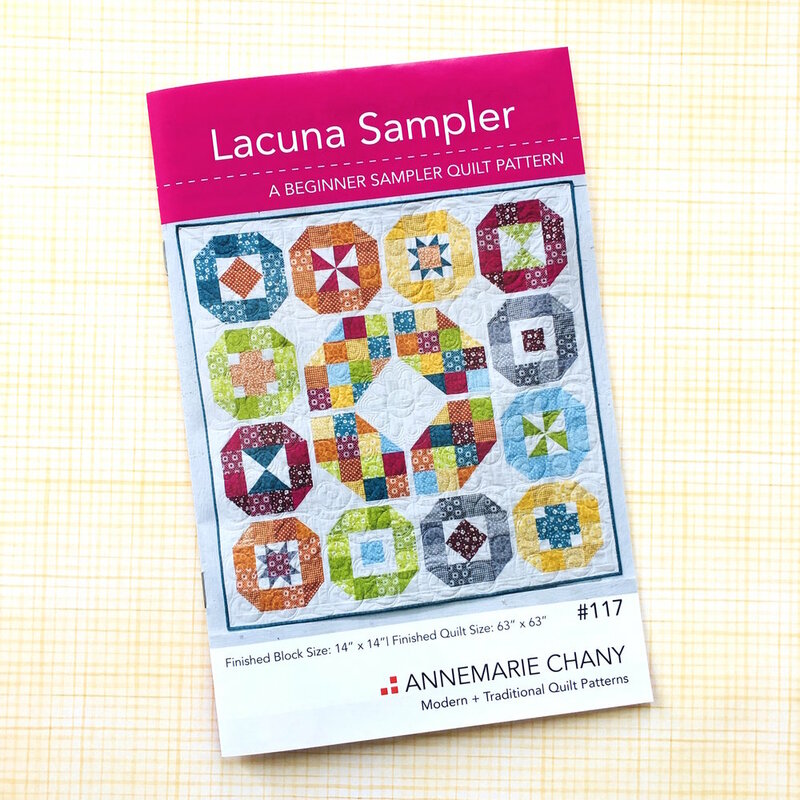 I have good news to share… The Lacuna Sampler Quilt Pattern has been reprinted for the 3RD time!! Lacuna is my best-selling pattern of all time. 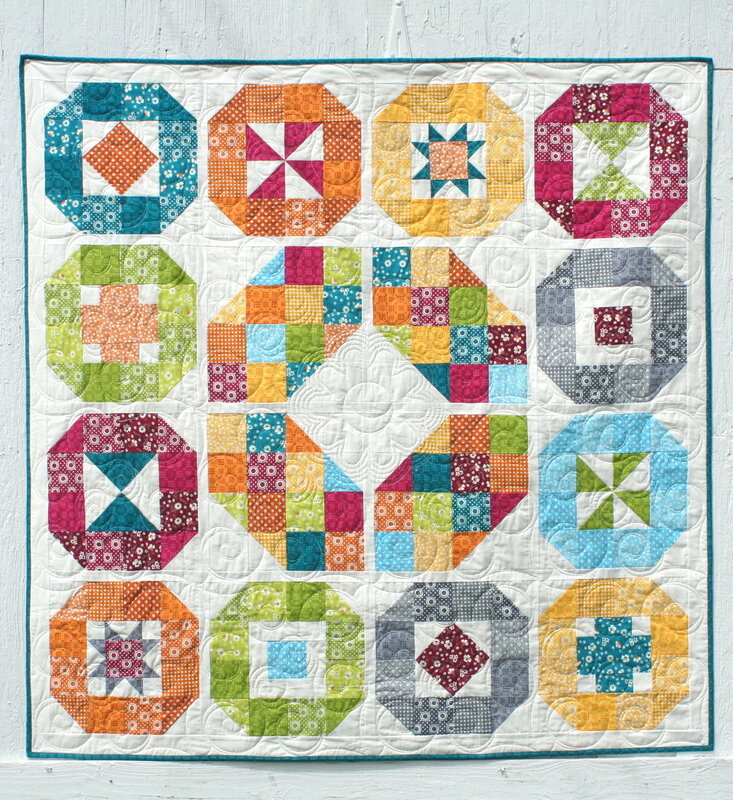 It’s a great sampler that’s colorful, fat quarter friendly, and BEGINNER friendly. 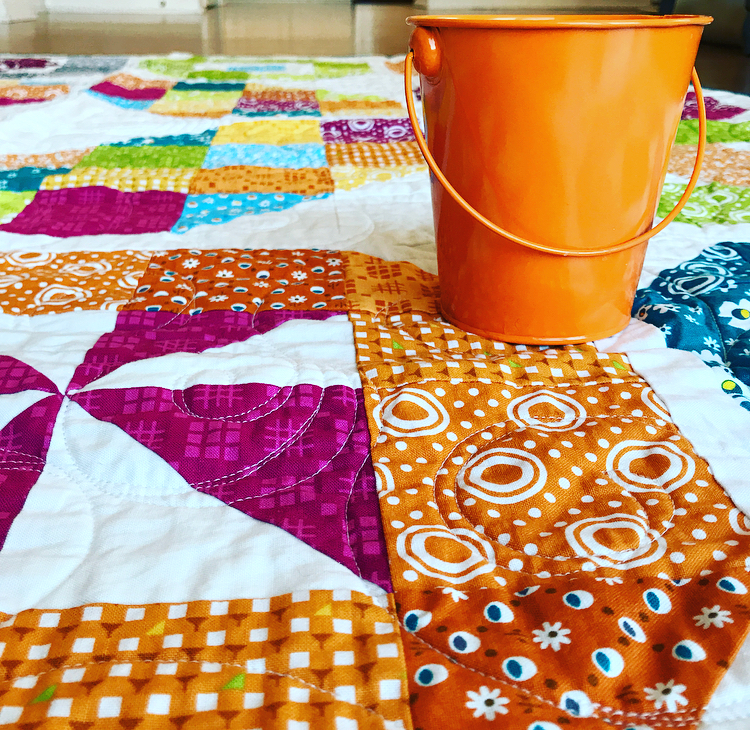 This sampler allows newer quilters to learn a lot of basic piecing concepts (half-square triangles, flying geese, diamond-in-the-square, and hourglass blocks) without lots of tiny piecing. Each block is 14” finished. SHOPS: Lacuna is a great class! This pattern can be run as a small BOM (Block of the Month Club) - making 2 blocks each month, over 6-9 months. Place a wholesale order for Lacuna between now and February 20, 2019 and receive free shipping. I even did an update to include my new logo and website info. Please let me know if you have any questions about Lacuna. Fabric is Pie Making Day from Brenda Ratliff for RJR Fabrics. 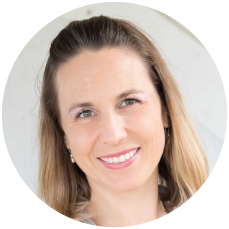 AnneMarie Chany is an author and pattern designer who teeters on both sides of the modern and traditional quilting line. She loves using bright colors and solid fabrics while nodding to traditional blocks. 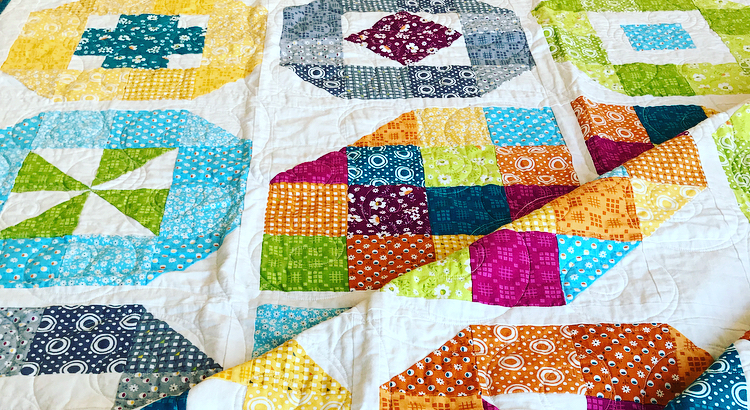 On the website, you'll find many resources to inspire and get you sewing right away like free quilt patterns, the Quilt Block Library with links to 350+ free quilt block tutorials, Block of the Month Clubs, and the Quilt Pattern Shop with clear detailed instructions to make your quilting easy and fun. "all I need is fabric and coffee. and maybe chocolate too. yeah, definitely chocolate. let's create!"